Most of the U.S. is experiencing below freezing temps today, which is making me miss my trip to Phoenix a few weekends ago. 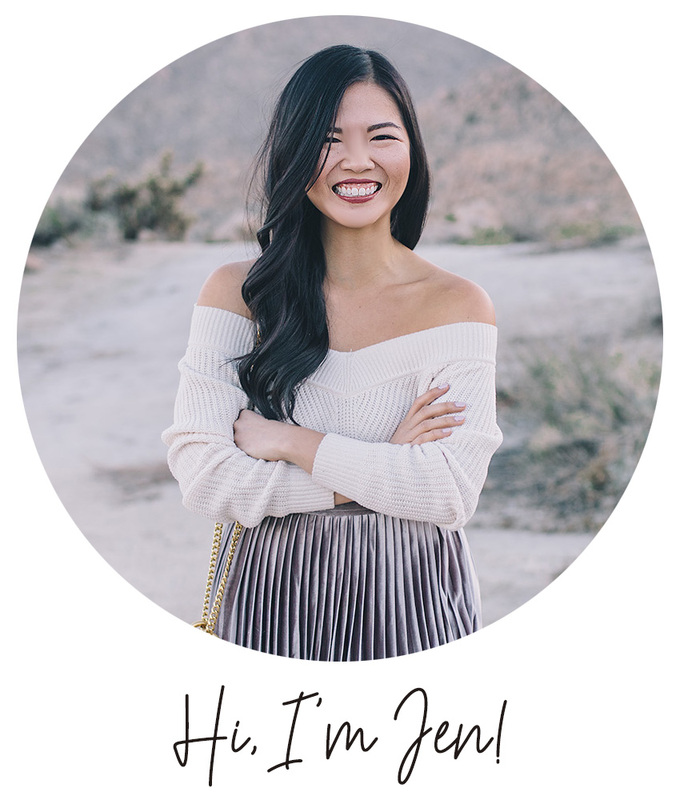 This layered outfit was all I need to survive the Arizona “winter.” I’ve been really into ponchos lately (I wore this winter white version this past weekend), but I’ve gotten a few questions on how to wear it without looking too wide. 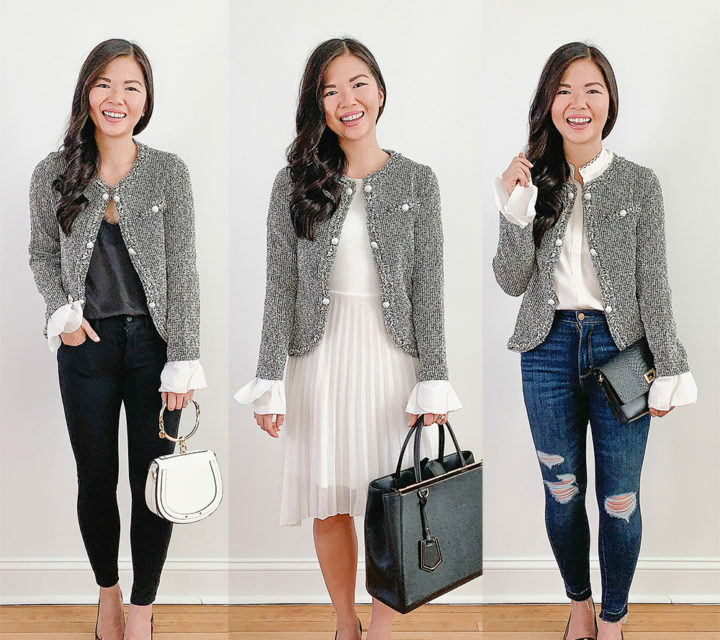 It can sometimes to be a tricky balance, but I think your best bet is to go with a simple form-fitting layer underneath. 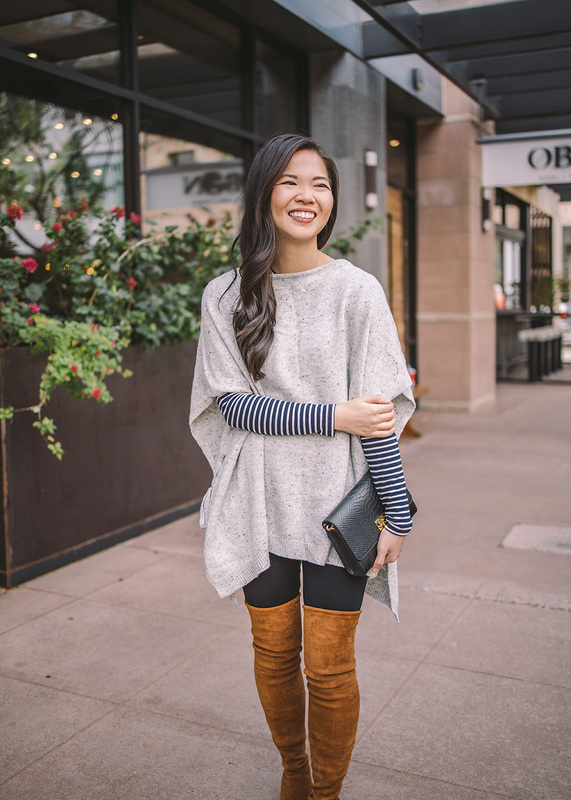 This striped long sleeve t-shirt was perfect under this cozy grey poncho. It adds a bit of visual interest, but it’s not too busy. And because it’s a thin layer, it doesn’t add any unnecessary bulk (black legs and form fitting over the knee boots help too!). 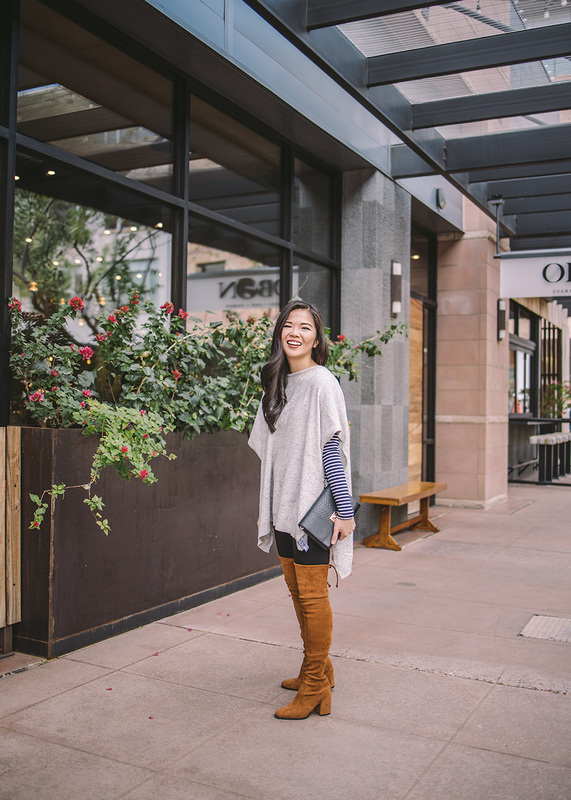 Put an outfit together is all about proportions, so when you’re going to wear something as loose as a poncho, make sure you pair it with something a little tighter underneath! Stay warm friends! 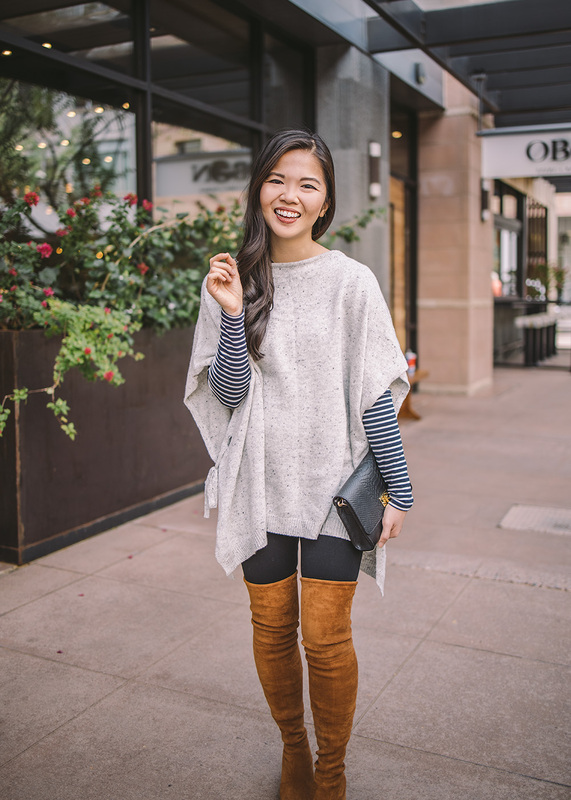 Loved how you layered the poncho Jen! 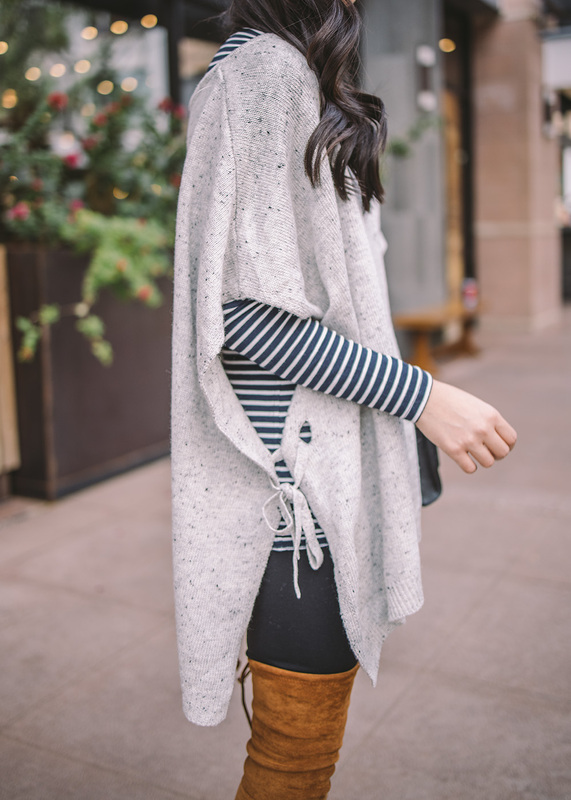 Plus this poncho is super cute! So cozy! 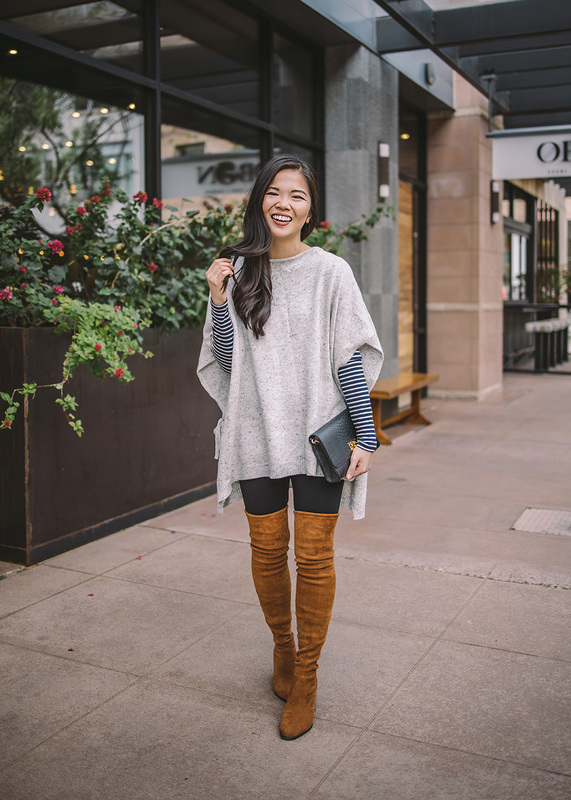 Love this combo, and those boots look amazing on you!